If I were a betting girl, I would bet that no matter what, every single day, I will get an email asking me about paint colors. And not just any paint color, but the perfect shade of white. Through all of our renovations, I've played with paint colors, whether on the walls, trim or on furniture pieces and I have absolutely settled on my go-to shades. Most recently, I've found my favorite shades of white - in all tones - and I happily recommend them regularly. All of the colors happen to be by Benjamin Moore and all are 100% the shade mix from Benjamin Moore (so no lightening or custom mixing in store). And as it just so happens, the number one paint color I would choose if I were stranded on a desert island and had to paint it just one color is on this list! Cool tones are my preferred shades for interiors and Wedding Veil is, hands down, my favorite paint color of all time. I love it so much, it would be the one paint I would choose until the end of time. Wedding Veil reads a gorgeous crisp, bright white with maybe just a hint of blue based grey underneath. It plays really well with shades of blue, brings out soft shades of grey and really shines when paired with rich gold metallics in fixtures and accents. It's really no surprise that I love it as it's the shade of white that lives in the same color swatch as my second favorite paint color of all time (and the best shade of grey on the market), Marilyn's Dress. In our Living Room, pictured above, Wedding Veil is painted on the trim work, ceiling and wall. In my opinion, Chantilly Lace is the truest, "no color" white I've worked with. 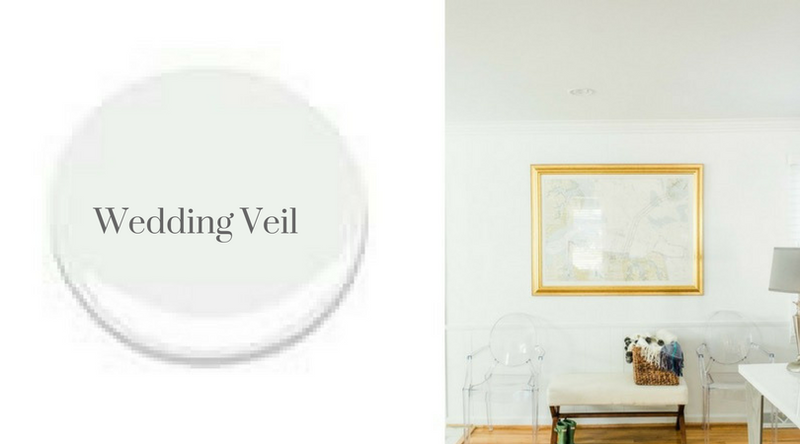 It is the prefect shade for trim work and ceilings and, no matter what the lighting situation, always reads as a true white. If you don't have much natural light to play with, Chantilly Lace would be my suggestion to keep a space airy and fresh. In our first Kitchen Renovation, pictured above, Chantilly Lace is on the cabinets, trim, ceiling and island. White Dove is by far the warmest shade of white I've worked with, as I don't care for warm/yellow based/"off" white tones. I have seen White Dove described as a "true white" but I don't agree. It has a very warm undertone, especially when painted with any level of gloss, say on trim or doors. It has a very homey affect to me, and feels softer than the true, stark whites above. When paired with certain colors, the yellow tone underneath shines, bringing out the warmer vibe. In my son's Big Boy Room, pictured above, White Dove is painted on the trim and walls, and the ceiling is painted Ice Cubed Silver by Benjamin Moore. 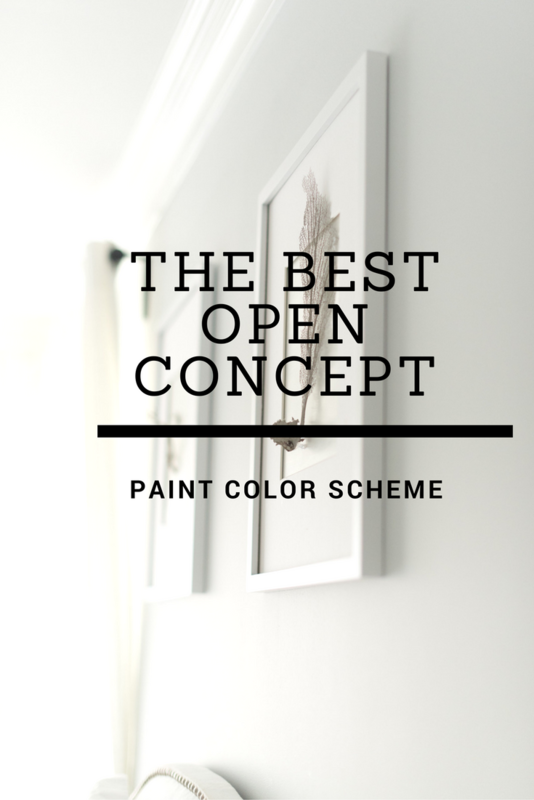 Want to see more of my favorite paint colors? Check out the post below! 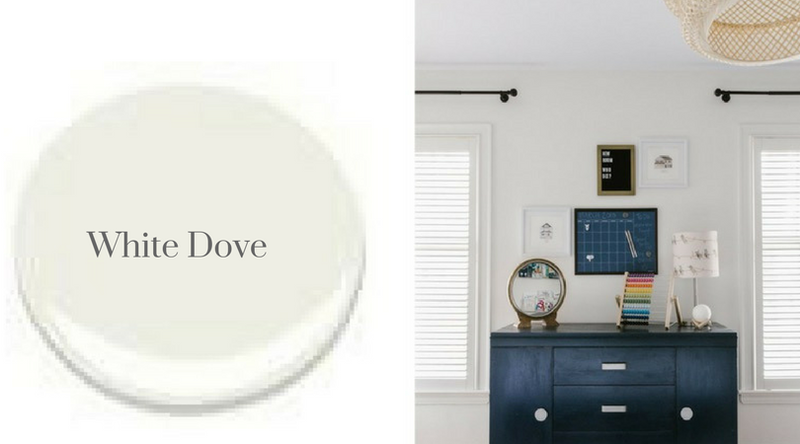 The trim in our house is all painted in White Dove and it's funny - I really thought it was a "true white" until I started trying to pick a new bedroom paint color and see cooler samples next to it. Turns out it's really quite creamy/yellow undertones and looks wrong with the coolest colors. I'm not repainting all the trim, so back to the drawing board for the bedroom! Yep! I noted in the post it's the warmest of all of the whites we've ever used and will definitely take on a yellow tone if paired with cool shades of white/grey/blue! 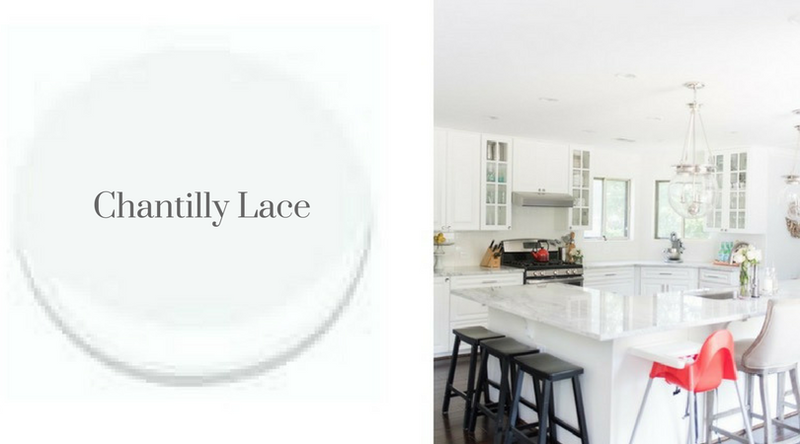 You mentioned in your first Kitchen Renovation, you used Chantilly Lace for the cabinets, trim, ceiling and island. Can you tell me what "white color" you used for the wall to go with the Chantilly Lace? Thanks. The walls were painted Ben Moore Marilyn's Dress which is a shade of grey.